Pepperwood Stewards are super volunteers who have completed a rigorous training program and donate time across our research, preserve management, education, and community programs. 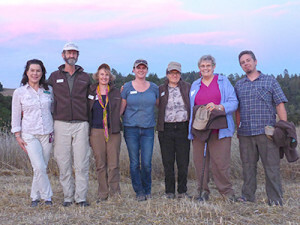 Most are certified UC California Naturalists having completed our two-semester natural history course offered in partnership with the Santa Rosa Junior College. Stewards support hikes, proctor classes, play key roles in research projects, assist with events, provide critical program input—and so much more. We are grateful for their support! Click here to learn more.